How is it already the middle of February? I think it’s flown by because I’ve been busier since the Christmas season ended than I was during Christmas. It seems that LOTS of people are getting married and having babies in 2013! 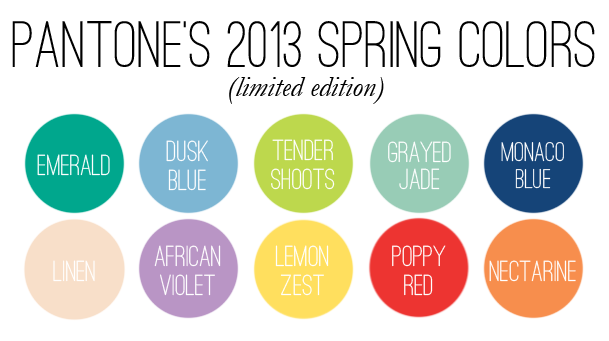 I’m loving Pantone’s colors for Spring. 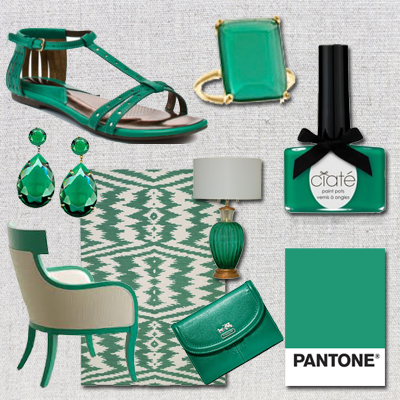 Green is MY favorite color, so you can imagine that I was pretty excited when Pantone revealed Emerald as their color of the year. I can’t wait to get my hands on some emerald green accessories. In fact, I’ve put together a little emerald “wish list”. Don’t be shy about asking where you can send gifts!